LIFE’S CRAZY…DILL WITH IT! REVIEW AND A CHANCE TO WIN! Now that I’m a mom, it seems that I have even more little must-haves to bring along. My husband would make fun of me all the time because I had disorganized baggies full of bandages, hand sanitizer, bobby pins, nail file, etc. 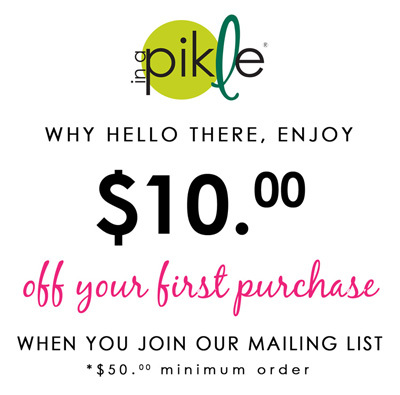 HAVE YOU EVER BEEN IN A PIKLE?